Plug in rather than filling up, and you're on your way. A decade ago, mainstream electric cars seemed like a bit of a pipe dream. But things in the world of EVs have moved rapidly, more so than anyone could've imagined. Some of the impetus comes from the demise of diesel, the difficulty and expense of hydrogen, and the dilution of hybrid appeal due to low gas prices. What's more, EV technology and investment by automakers have risen dramatically. In fact, before truly autonomous vehicles enter the fray, EVs will usher things in. And what once seemed on the outskirts for many car buyers has become a serious consideration, and EVs are here to stay. Here are five reasons why you should consider buying one. Electric cars were once just the weird pariah of the green car family, but now everyone's getting on board. Vast improvements have been made in terms of battery capacity, safety technology, comfort, and design to the point where they're just as good as the gas cars with whom they compete. Crappy, poorly designed EVs like the Mitsubishi i-MiEV are gone, largely because consumers expect more. Step inside a car like the BMW i3 (above) or the Hyundai Ioniq Electric, and you'll find that they boast some of the best interiors in the business and host the kind of amenities you'd expect from cars that have been sold for far longer. Essentially, you won't need to compromise just to break free from gasoline. Green cars aren't generally perceived as quick, but EVs have numerous advantages when it comes to performance. First of all, they're gearless, so there's no time wasted shifting gears. In fact, torque is immediate, so you can mash the pedal and get maximum power almost immediately. Also, when it comes to EVs, the battery is generally located in the car's floor, so the center of gravity is lower. This also means good handling characteristics. Just don't make the mistake of not buying an electric car because you think they're no fun to drive. That's where you'd be very wrong. If you're worried about finding a place to charge, those concerns should continue to diminish year after year. The Electric Vehicle Charging Association reported there were over 50,000 charging stations in the states in 2017, up from 45,000 in 2016. Both public and private charging stations are growing at a compounded rate, and you can now find charging stations almost everywhere. While that doesn't mean you should take your EV on a long road trip, you can easily drive an EV throughout the work week without worrying about having to find a place to plug in. Here are some companies that provide charging services, and you can easily find one on their network. Diesels don't stand much of a chance anymore (thanks to VW), and very few automakers are dabbling in it anymore. That tech will largely be reserved to heavy duty pickup trucks. Hybrids are everywhere now, but sales are dropping because of low gas prices across the board. Electric, however, appeals tremendously thanks to the notion of not using gas at all. It's the future of motoring, really. Hell, there's even an electric Formula-e racing series now, if that's any indication. According to EcoWatch, EVs are growing at a rapid rate. For example, as recently as 2016, there were two million EVs across the globe when there were very few only a couple of years before. The number is expected to skyrocket over just the next few years. 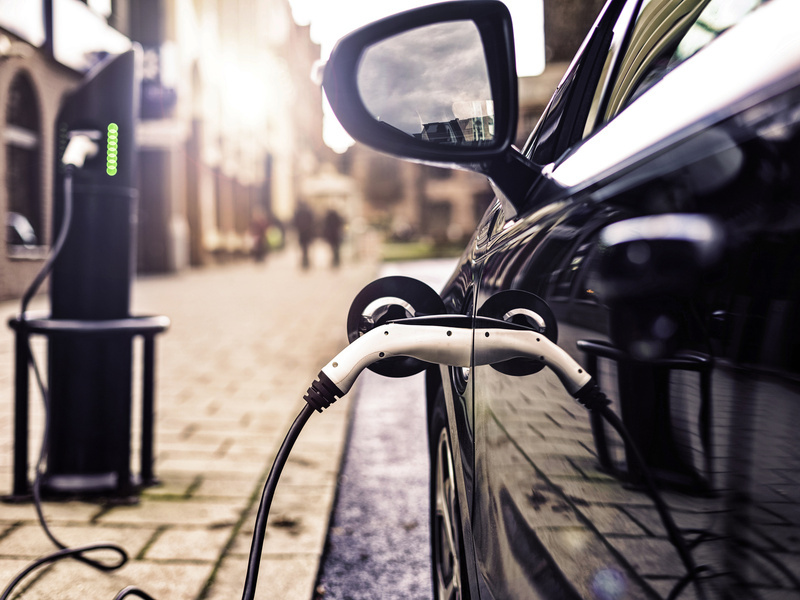 Last year, nearly 200,000 electric vehicles were sold in the U.S. Now, every major automaker wants to incorporate the technology, and if they don't already make an EV, they likely will soon.